BC Adriaoil Skrljevo made it to the Semifinals, after beating Sluneta of Usta nad Labi 85:75 in the return game. IAgreat success for Škrljevo, as it’s the first ever participation on a European competition. Scorers KK Skrljevo: Usic 22, Williams 19, Sarac 9, Barnjak 9, Uljarevic 9, Krstanovic 6, Yacoubou 4, Kucan 3, Stemberger 2, Lebo 2. Scorers Sluneta Usti nad labem: Martin 13, Pecka 11, Sotnar 11, Houska 10, Wisseh 10, Wallace 8, Steffel 6, Smid 4, Fait 2. The host immediately took the initiative and in the six minutes of game there was a plus of 12 points (19: 7). That part of game belonged to Ušić, who had 11 points in the first ten minutes, and Barnjak who gets a few great layoups. Škrljevo had an advantage of plus twelve 26:14 after eight minutes, it was 28:19 after the first quarter. The continuation of the match brought a better game for Sluneta, which was on the wings of Wisseh and Houska. They put the team on their back and reduced the deficite to 42:40 at half time. 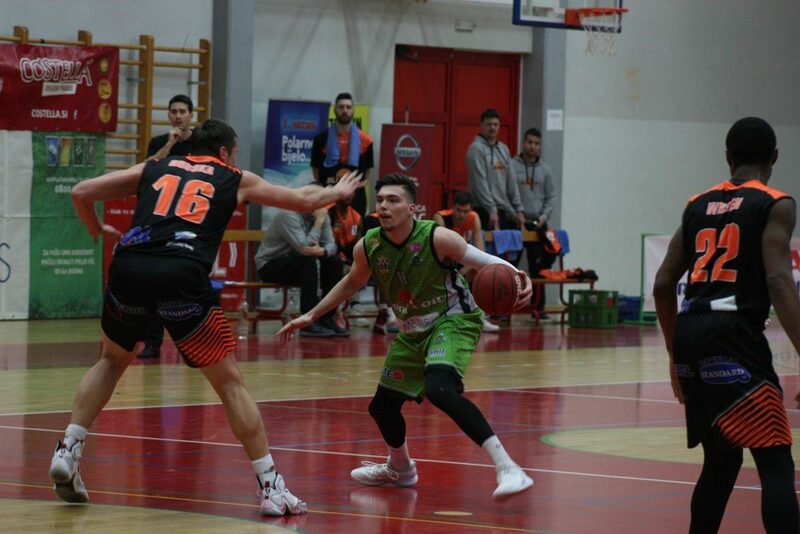 The third quarter was marked by Sluneta, which went in 29 minutes for first lead 55:54. Still, Adria Oil Škrljevo came back and and got the 60:57-lead before the final quarter. The last ten minutes on the parquet were the true battle for passing to the semifinals of Alpe Adria Cup. Brian Williams was unsstopable at that time, Ušić gave some good dunks, and with offensive rebounds the game was decided. Sluneta was on great for 3 – 13/25, but they had 19 turnovers, as Škrljevo had 13 offensive rebounds. The most effective match player was David Ušić with 22 points and 7 rebounds, Williams with 19. For Sluneta Justin Martin scored 13 (3/4 for three), while Ladislav Pack and Michal Sotnar (3/5 for three) scored 11 points.